November 2014 : Enjoy Outdoor Cooking! Save thousands during Wood Mode's?Pick 2 Special Savings Event!! The promotion runs through January 23rd, 2015! Now that fall has arrived, you are spending more time out on the patio? You have decided that this fall is when you are going to start a new tradition at your home? Just because summer is over doesn?t mean that your grilling has to be too? 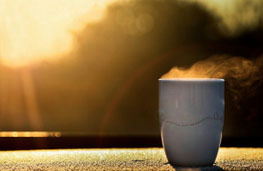 Hot cup of coffee in the morningA crisp autumn morning watching the sunrise from your back porch? You love cooking. ?It is a great joy to plan and prepare a special meal to be enjoyed by your family and guests. ?While cooking inside is usually more convenient and comfortable, there are plenty of benefits to taking it outside. ?Especially now that autumn weather has arrived consider moving to the patio for your next meal. Inevitably when you cook inside, the heat lingers in the house. ?Depending on the weather outside, this can make your home uncomfortable for a substantial period of time, especially if you live in the South where the weather can change in the blink of an eye. ?This can lead to increased energy usage as your heating/cooling system compensates. 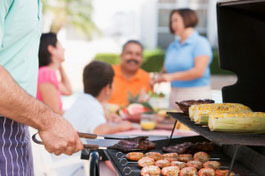 ?You can easily avoid this situation by cooking outside on the grill where the heat wafts away into the sky. 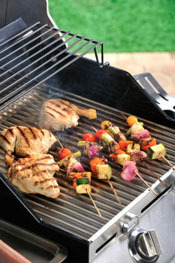 Speaking of grills, did you know that we have the top name-brand appliances that can satisfy your grilling needs? 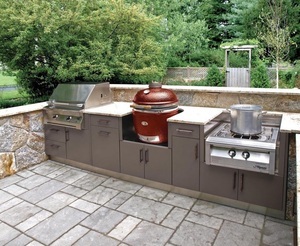 With so many choices to choose from, you are guaranteed to find the grill of your dreams here at K&N Sales! Remember, the sooner you stop by, the sooner you will be able to fire up that grill! 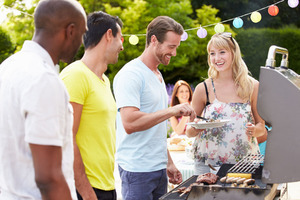 If the weather is nice and everyone at your party is outside, it makes sense that the cook should be there too. ?It?s no fun to watch people playing horseshoes or cowboy golf through the kitchen window. ?You can get into the middle of the fun by cooking on the patio. ?If you are a skilled chef, you may even be able to toss a frisbee or two while you tend the grill. When you?re outside, you can add unique flavors to your meal without needing to use extra oils or fats. ?When you cook inside, the drippings stay in the pan until the meat is ready. ?However, when you barbecue, fat drips into the fire and turns into flames that add unique aromas and tastes to your food. ?There are nothing like new scents and flavors for your guests. Visit the Culinary Curious section on the DCS Appliances website for further instructions! The weather is so unpredictable that you should get outside and enjoy your outdoor space as often as you can. ?You have put a lot of effort into making your patio a welcoming area where your family and guests can have a great time. ?Take advantage of every opportunity that you have to share it with your friends. ? Cooking is great, but do you know what else accompanies this cool weather well? A hot cup of coffee! 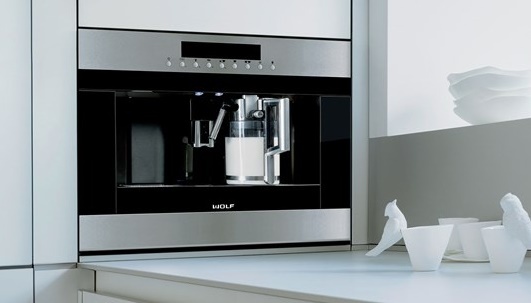 You can prepare for your day of outdoor grilling for guests by starting out with a cup of coffee from your very own coffee system. You can even jazz up a traditional cup of coffee by making a homemade chai latte, tiramisu italiano or some absolute perfection!? 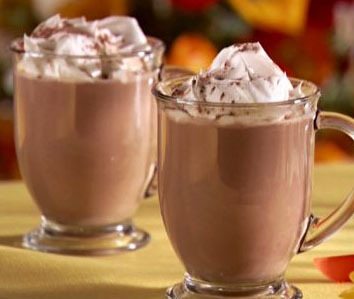 Below is a recipe for an Irish Coffee Cocktail, which is a personal favorite for some of our team!